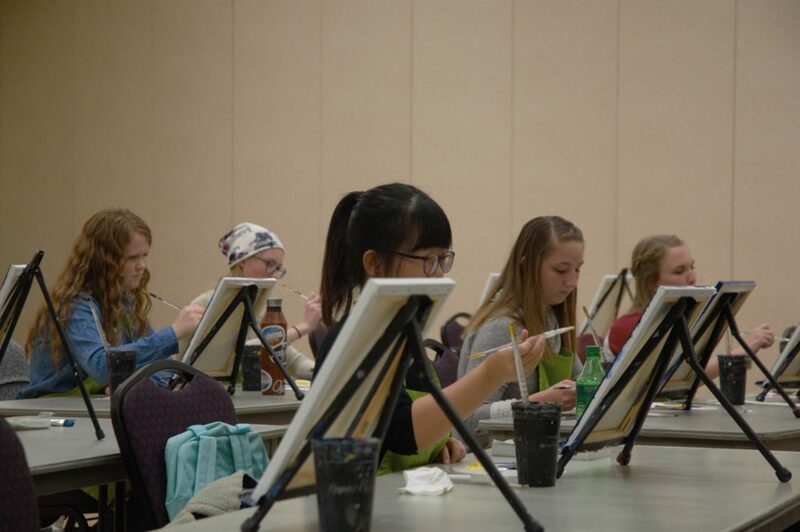 On Nov. 14, Weber State University students came together to channel their creativity in the spirit of famed pop culture artist, Bob Ross. “Everybody likes paint nights. They’re just kind of fun to distress,” said Wyatt Walk, WSUSA special events chair. 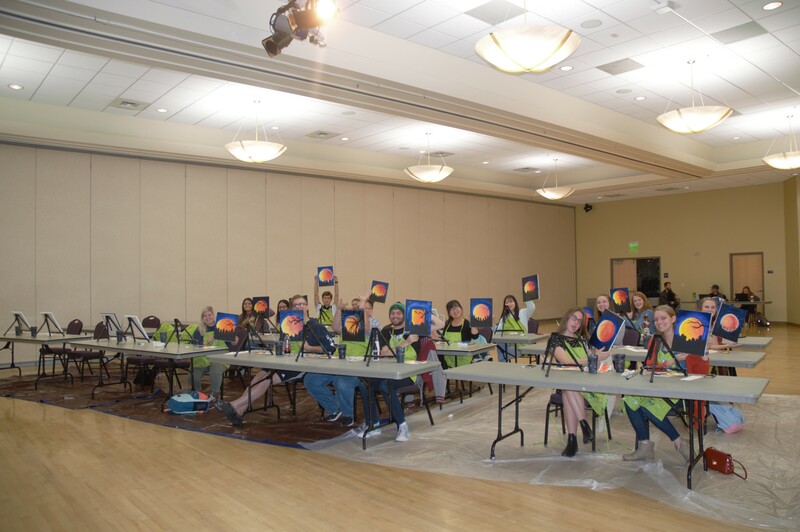 Student fees were used by WSUSA to contract local business, Liquid Canvas, to lead two back-to-back sessions of painting lasting an hour and a half each. Registration maxed out at 30 participants and nearly all 30 slots were filled for both sessions. Students finding their own joy though painting. Nursing major, Elizabeth Gottfredson, was very happy to see a picture of Bob Ross come across the WSU Snapchat feed on her phone earlier this week to promote the paint night. “I love Bob Ross and so that is why I wanted to come,” Gottfredson said. Ross, famous for his calm demeanor, permed hair and cheeky dialogue, died in 1995. Now, he appears to be reaching a new generation of fans who can watch re-runs of his old show, “Beauty is Everywhere,” on Netflix. Stress can go hand-in-hand with this time in the semester where graduation is near for some and finals are on the minds of all students. 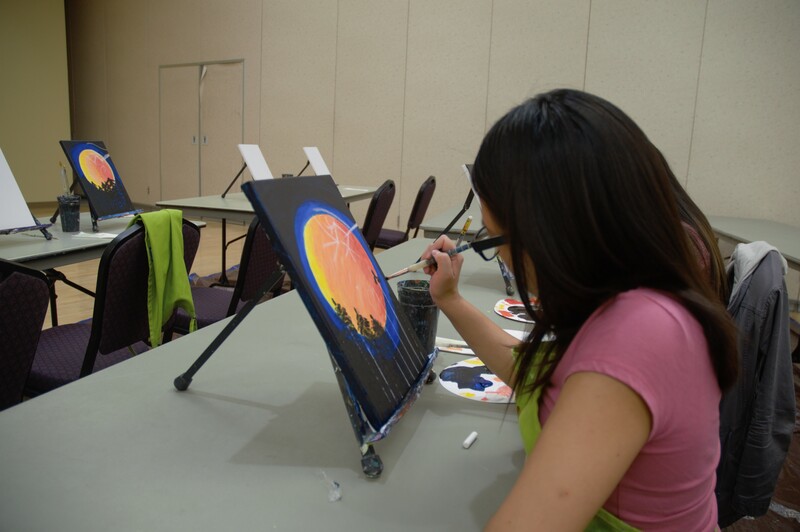 Medical lab science major Jessica Avila came to paint night because she needed a break. She invited her friend, Karen Valdez, to come along. Neither had attended a paint night before and said they were disappointed at having missed the one put on the previous year. “I came because I need to de-stress from all my hard classes,” Avila said. 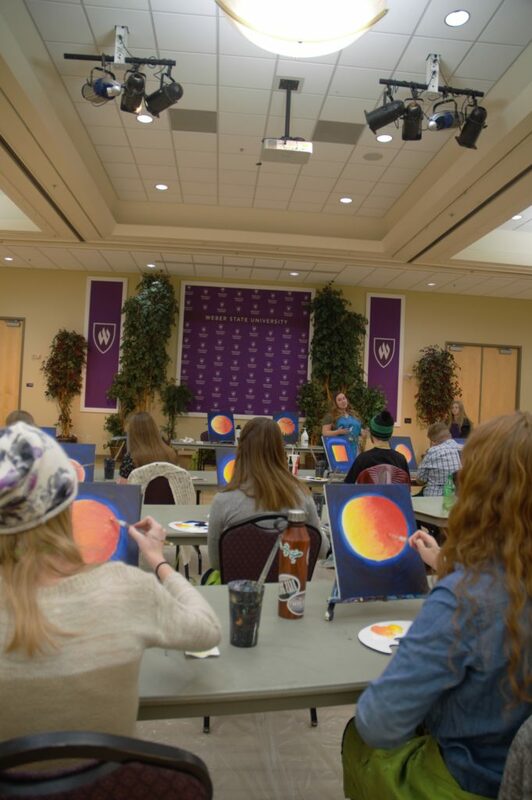 Walk said last year’s paint night was so much of a success WSUSA thought another one would be a really good idea to help students cope with the challenges of finishing out the semester. “Right now is a really stressful time of the year, and Bob Ross-esque kind of things tend to calm people,” said Walk. 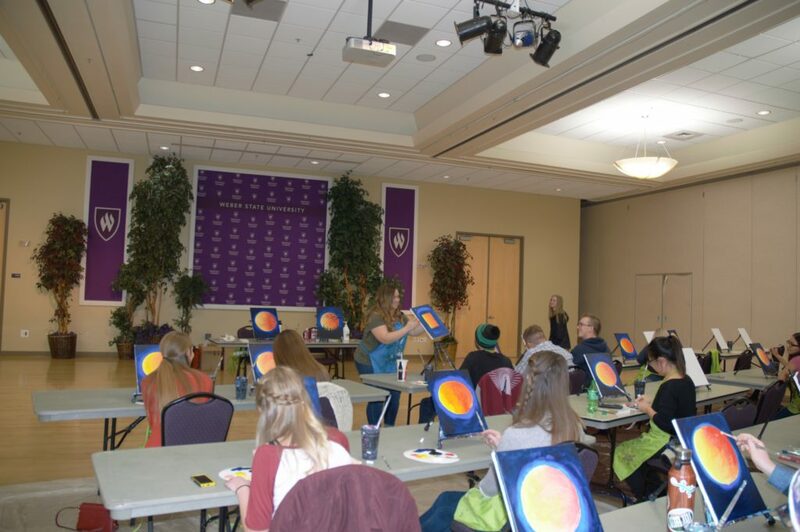 Students from all different majors came to paint night, regardless of artistic ability.